Welcome to Matawan Bike Shop. Here at Matawan Bike Shop we welcome you to a new and friendly cycling environment. 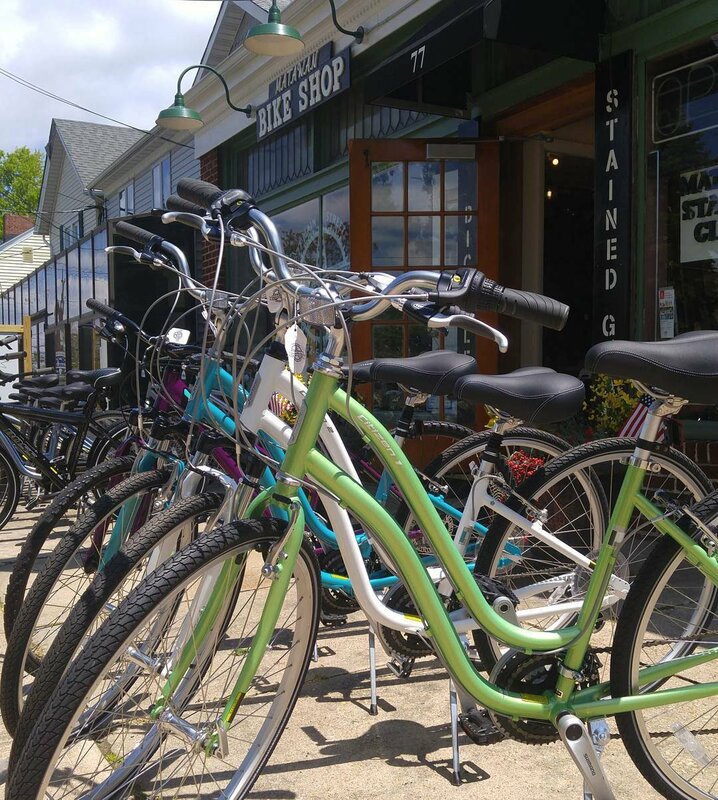 We carry everything from Beach Cruisers, Mountian Bikes and children’s bicycles. Come on by and check out our brands. Complete overhaul that will make your bicycle look and ride better than new! We are bike repair experts with the experience, and training to do the job right the first time, every time. Stop by and check out some of our bikes. 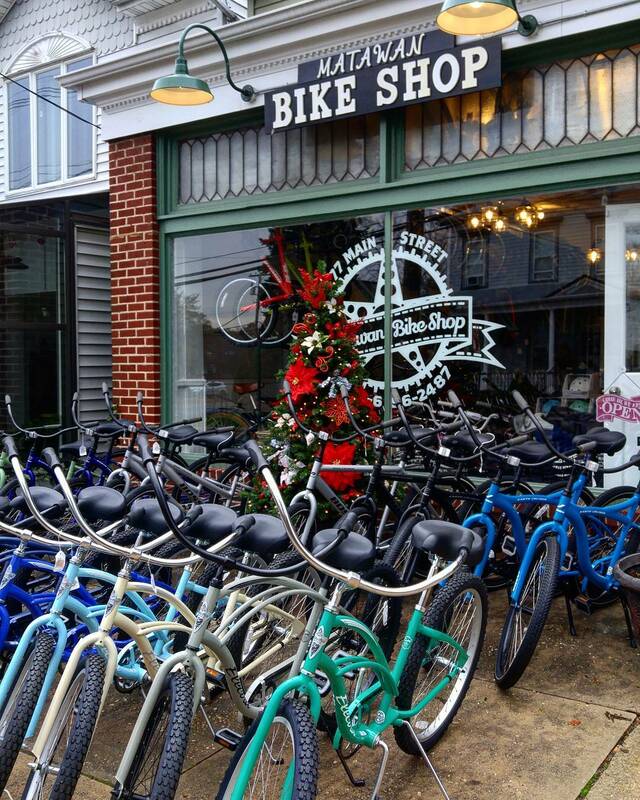 At Matawan Bike Shop, we have a wide array of products: from road bikes to fat bikes and adult and children’s bicycles. We also offer a variety of new and used bicycles, parts, and accessories. Matawan Bike Shop is truly a store that offers all the bells and whistles! With a range of colors, styles, and prices, our experts will ensure that you receive the bike that’s your perfect fit. Front And Rear Brake Adjustment, Front And Rear Derailleur Adjustment, Oiling, Alignments, Air, Basic Cleaning, Headset Adjustment, Bottom Bracket Adjustment, Hub Adjustment. Front And Rear Brake Adjustment, Front And Rear Derailleur Adjustment, Oiling, Alignments, Air, Good cleaning, Headset Adjustment, Bottom Bracket Adjustment, Hub Adjustment, True And Clean Front And Rear Wheels. Front And Rear Brake Adjustment, Front And Rear Derailleur Adjustment, Oiling, Alignments, Air, Complete cleaning, Headset Adjustment, Bottom Bracket Adjustment, Hub Adjustment, True And Clean Front And Rear Wheels. Remove Drivetrain (Cranks, Derailleurs, Chain, Cassette) And Clean Thoroughly. Great experience, knowledgeable of course. Gave us a great price (same as online), but changed the tires and threw in the pegs for nothing. Owner Reed, was great, told my son to stop in anytime he needs an adjustment. Couldn’t be more pleased. Just picked up my Thule Bike Trailor that he rushed in for me to take on vacation. I am thoroughly impressed by the service and professionalism by Reed and his team at the shop. Encouraging to see see a small business doing so well and doing it the right way. You just got a customer for life! Two thumbs up. Cannot tell you enough how pleased I was with the service and the professional way I was treated. Prices are very fair. I brought my bike back after I bought two new bike tires then had a flat. They changed my two tire tubes and inner rim liners at no charge.Very fair not greedy.I am now a loyal customer for any of my bike services or needs. Thanks Again Reed and John !!! !